They are single use to avoid contamination that can occur in regular sugar scrubs. 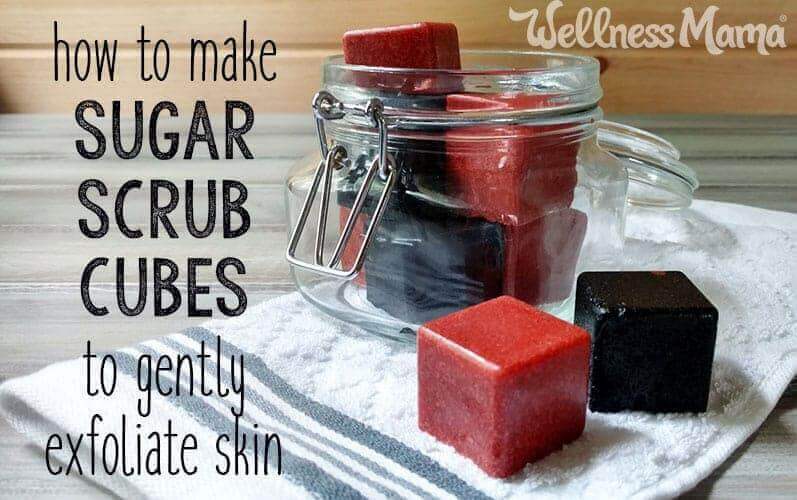 They contain soap so they won’t create the mess that regular sugar scrubs do. Water used in skincare products makes them much more prone to microbial growth. Not only that, it can be a little frustrating trying to keep water from getting into the container when you’re using it in the shower (especially when dipping wet fingers into the scrub). 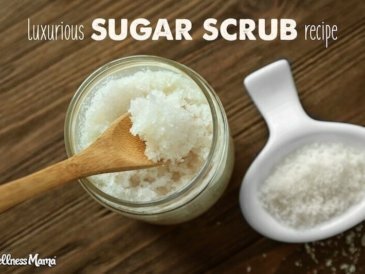 By using a sugar scrub cube, only what is needed for one use is brought in the shower, and the rest stay dry and ready for the next use. Unlike most sugar scrubs, these cubes contain soap. This serves a two-fold purpose. It helps avoid oil buildup in the showers and in drainpipes. It also helps avoid buildup on the skin for people who are sensitive to certain oils. 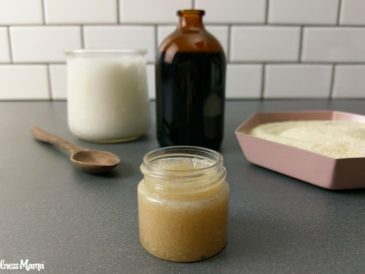 DIY Sugar Scrub, Taken Up a Notch! 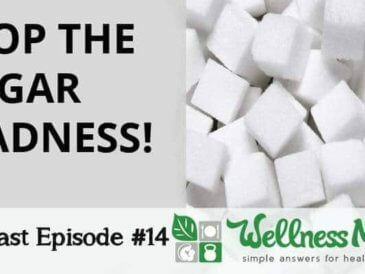 Of course sugar scrub cubes work great unscented and without added color, but there are real advantages to adding natural colors and scents. French rose clay and coconut activated charcoal add color for a pretty presentation but also have additional benefits for the skin. French rose clay is a naturally occurring, mild clay that actually comes from France. Not only is it a beautiful dusty rose color, it helps pull impurities from the skin and acts as a mild exfoliant to rejuvenate skin. It’s frequently used to improve the appearance of skin and improve blood and lymphatic circulation. This clay contains a variety of minerals for better skin health, including kaolinite, iron, illite, montmorillonite, magnesium, potassium, and calcium. Because it’s less drying than other clays, French rose clay is especially good for dry or sensitive skin. I use activated charcoal in my drawing salve and to whiten teeth, but it’s also great for skin. Over the past few years charcoal has become the next trendy thing in skincare, but it was in use long before. This light black powder pulls impurities from the skin and absorbs excess oil. It’s perfect for acne-prone and oily skin types, but it may be too drying for sensitive or mature skin. 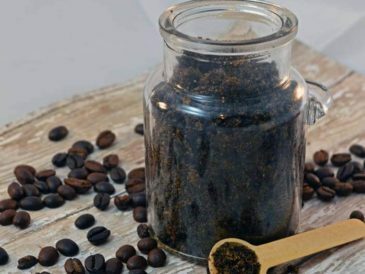 Charcoal is oil soluble, so it combines well with this oil-based recipe. It can be very messy and it will stain clothing and white sinks, so be careful while mixing it in. 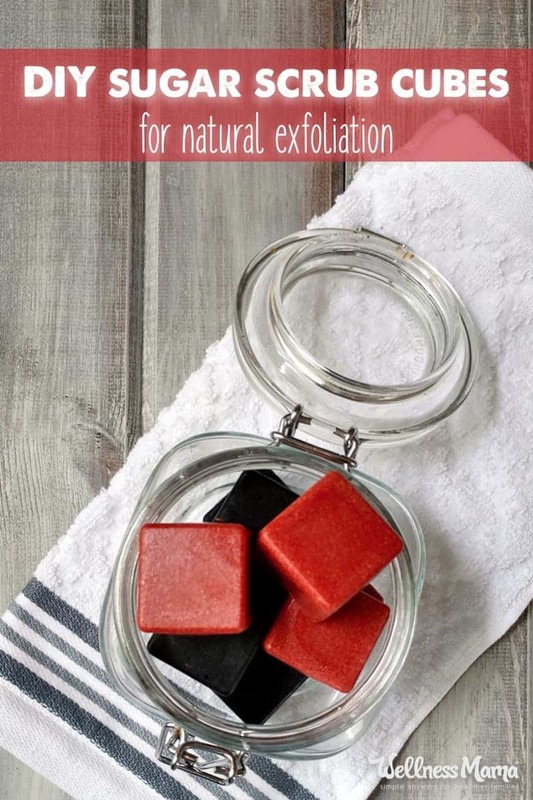 This sugar scrub cube recipe shouldn’t stain the tub though, as the charcoal is diluted enough to easily rinse off. Here’s how to make these simple and adorable exfoliating cubes. Cut the melt-and-pour soap into small, even pieces to ensure even melting. If using a scale, place the glass bowl on the scale and hit the tare button. Add chunks of soap until the weight reads 5.5 ounces. Since soap cube size will vary, this recipe works much better if using a scale, as opposed to a measuring cup. Fill the pot halfway with water and place over medium heat. Perch the glass bowl on top to create a double boiler effect. Stir the soap occasionally until completely melted. The soap should be smooth and thin. In the meantime, vigorously whisk the rose clay or charcoal into the carrier oil, if using. Once the soap is thoroughly melted, whisk in the carrier oil. If the mixture clumps and seizes up, just keep the bowl over the heat until everything melts again. Stir in the essential oil, then remove the liquid from the heat and set the glass bowl on a tabletop. Stir in the sugar and immediately pour into the mold. The mixture will harden quickly. Place the mold in the fridge until the mixture is firm, about 1 hour. Pop the sugar scrub cubes out of the mold and store away from light and heat. 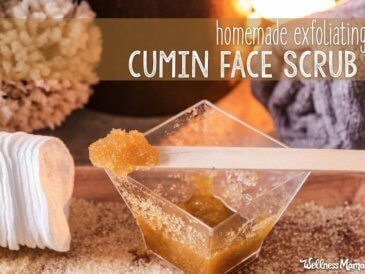 To use, simply squish one of the cubes in your hand, rub across the skin to exfoliate, and rinse off when done. Caution: Since these contain a fair amount of oil, they can make the shower floor slippery! Everyone appreciates a thoughtful homemade gift! These sugar scrub cubes make great gifts for birthdays and holidays. They can be gifted in a decorative glass jar with a cute personalized tag or label. 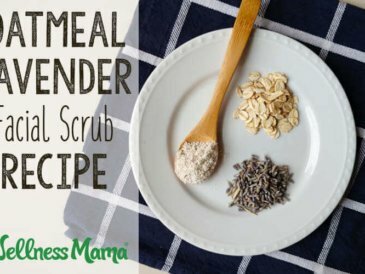 Are you a fan of sugar scrubs? Will you try this single-use option?